Nowadays the term SEO is on everyone’s lips, but many people do not understand it. 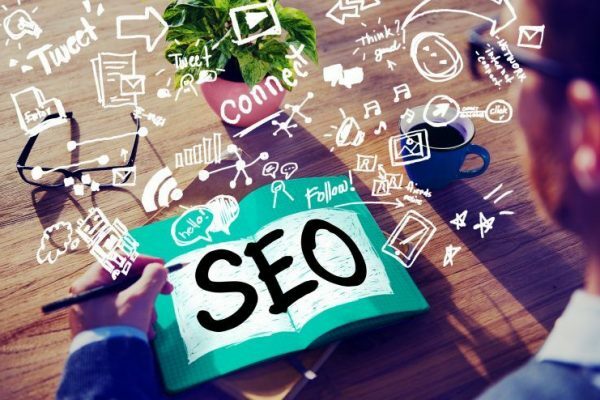 SEO can be defined as a set of specific optimisation strategies for various web pages that ultimately aim to improve search engine positioning on specific keywords. Although the digital world has changed dramatically over the past few years, SEO remains an important component of the marketing strategy. There are many digital agencies on the market who offer professional site optimisation services that can position your website on the front page of the search engines for keywords relevant to your business. First of all, SEO involves making quality content (in the online environment, the expression “Content is King“ is very well known). 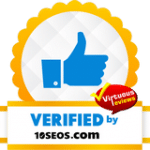 Following this step, social media distribution of that specific content generates links in order to promote and increase positions in Google, Bing, Yahoo or any other search engine. As a business owner, if you do not need an online store, you also have to move your business into the online environment at least with a presentation site. Investing in SEO services can be an excellent choice for you and your business, taking into account the reasons listed below. 1. You want people to VISIT the SITE you created for your business. Perhaps you have made efforts to create an attractive design and a site that offers a pleasant experience for visitors. However, all your efforts are in vain if your site can only be found on the 25th page of results rendered by Google. 2. Of course, you want TO EARN more MONEY. Moreover, like any businessman, you may be undecided whether to invest in SEO or not or about spending your money. However, you must know that this initial investment will bring you long-term results. The number of conversions will increase, as your site will be better positioned on the search engines. SEO services provide a much HIGHER RETURN on INVESTMENT than any other traditional forms of promotion. This is because SEO acts as an advertising platform: users find your site by searching for specific products and services. 4. Do you want TO GET TO THE TOP? Statistics and research show that rarely those who search for online information are also passing on the second page of results. SEO can offer you this: top positions on the first page of the search results. 5. Do you want to get GREATER AWARENESS in the online environment? The search engine algorithm updates are based on quality and credibility. As a direct result, those who search and find your site on the front page give you an extra confidence vote for what you offer. 6. For sure you realise the importance of PR for your business. Unfortunately, negative publicity often has a significant impact on your business, too and the destructive potential of bad PR is also high. Fortunately, these mistakes can be removed by a strong online presence which can be provided by professional SEO services. 7. Don’t you want to pay for ADWORDS anymore? That is ok because more and more an online trend has come to light: people who search are more likely to access organic results than paid ads. Applying to SEO, you have the advantage of paying one time and keeping your results for long periods, not just as long as you pay – as it is the case with AdWords. 8. Do you want to ATTRACT more potential CLIENTS from the online environment? It is well known that search engines reward quality content, which is why bloggers and online promoters engage in activities such as infographics, tutorials and blog articles. You’ll enjoy a twofold benefit: getting a better position and improve the customer engagement. 9. It is certain that after reading this reasons, you wish to start immediately. In this case, you have to keep in mind that SEO is a long process. It will take some time before you can get the desired results. So, if you want to take advantage of the benefits of SEO services, you should START NOW in order to enjoy later. 10. SEO is always WORTH the investment. 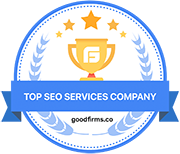 SEO services provide results that can be quantified because it is possible to track almost every aspect of the online behaviour of those who visit your site. What keywords brought them to the website, what are the demographic data and other numerous metrics that measure the interaction of people on your site. 11. Efficiency in terms of costs. SEO has the most effective strategies for targeting users who are actively looking for your products or services. However, you should keep in mind that search engine optimisation is a long-term process, but the benefits are still worthwhile. 12. Maybe you’ve been thinking about doing this on your own. It can be quite difficult, especially if you are not a specialist. It’s better to WORK with experts who will recommend the best solutions and provide you with professional technical support. – Securing the site with HTTPS. Last year, Google announced that secure websites would be favoured in searches as an attempt to encourage webmasters to protect their sites more effectively. – Building mobile-friendly sites. With more and more smartphone users worldwide, creating mobile-friendly sites has become a must. Otherwise, you risk becoming inactive for mobile searches. – The importance of social networks. The influence of social networks on-site ranking and on the results page is always an ongoing debate. However, SEO 2017 trends anticipate an increased impact of social networks on search engine results. – Using Youtube. Quality videos, well integrated into the structure of the website, undoubtedly adds value to the editorial content. As the number of people using Youtube has increased, this platform has become the cherry on the cake of SEO, is an opportunity that is worth exploring. Don’t miss the chance of reaching your target audience using SEO and always contact the best specialists!